You can add Music files, Video files and embed YouTube Videos into your pages, all using the Add Media box in the Page Elements Sidebar. Note: Before uploading any media, it is a good idea to check InstantPro's Supported File Types, which are listed below. Do also bear in mind that different web browsers do support different file types. 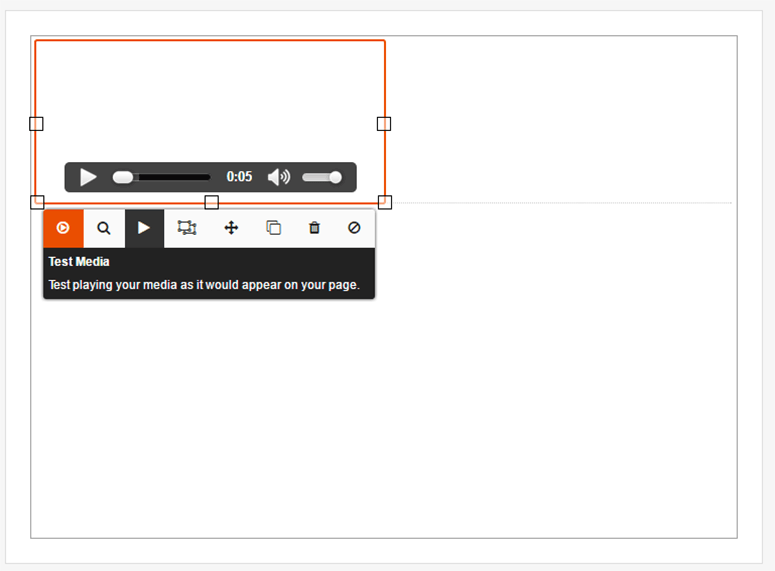 Step 1: Using the Page Elements Sidebar, select the Add Media box and drag it into the page. This will create a "block" that you can easily move around. 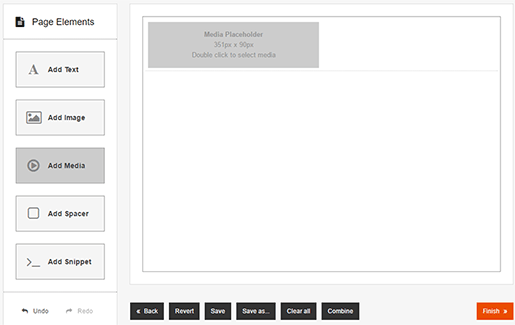 Double Clickthe block to select media. 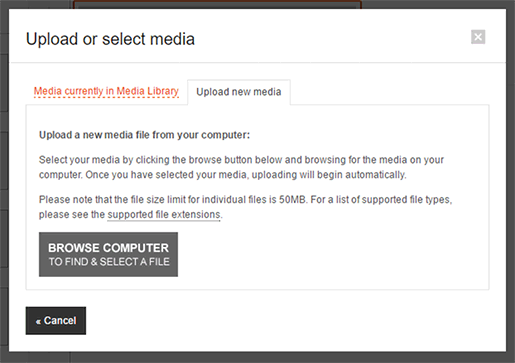 Step 2: You will be taken to the Upload or Select Media window. 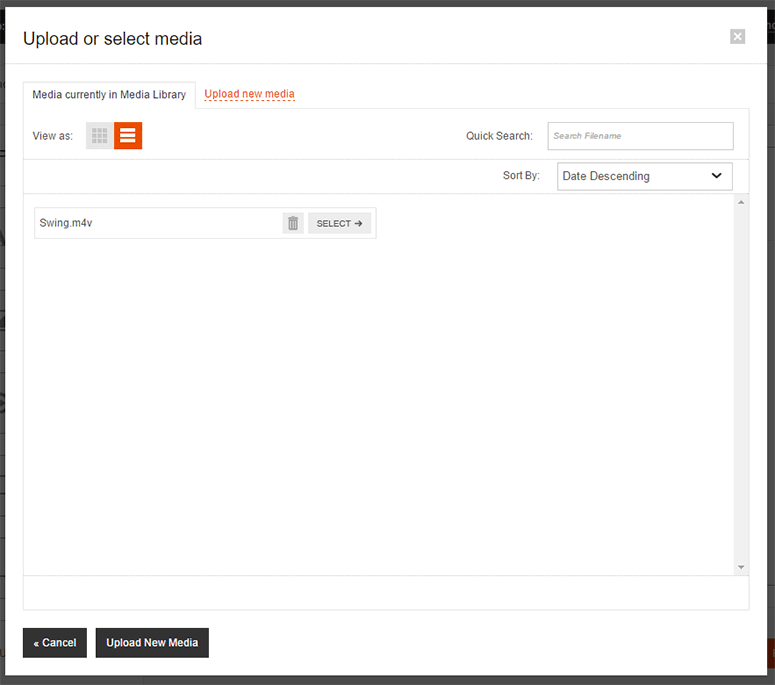 You can select a media file that is already in your Media Library or you can choose to Upload New Media. Use the tab at the top of the window to choose your method. 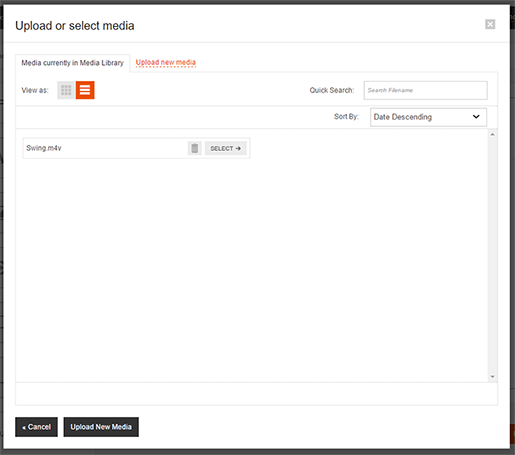 Step 3: To select a music file that you have already added to your Media Library, find the file and press Select. To upload a new music or video file, select the Upload New Media tab, then press the Browse Computer button and choose a file you would like to upload, select it and press Open. Step 4: You can test the file by pressing the Test Media button from the Toolbarbelow the block. 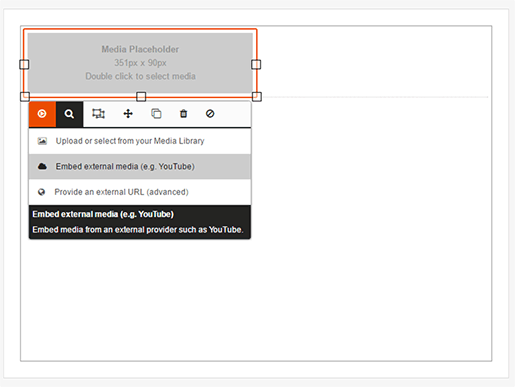 Step 1: Using the Page Elements Sidebar, select the Add Media box and drag it into the page. Step 2: Open a new browser tab and go to the YouTube website. Search for the video that you want to embed and select it. When you click through to a video, you should find that there are some options below the video title. Click the Share button. Step 3: Click the Embed tab and Copythe code. Then head back to InstantPro. Step 4: Click the Media Placeholder and from the Toolbar below click Select Media. 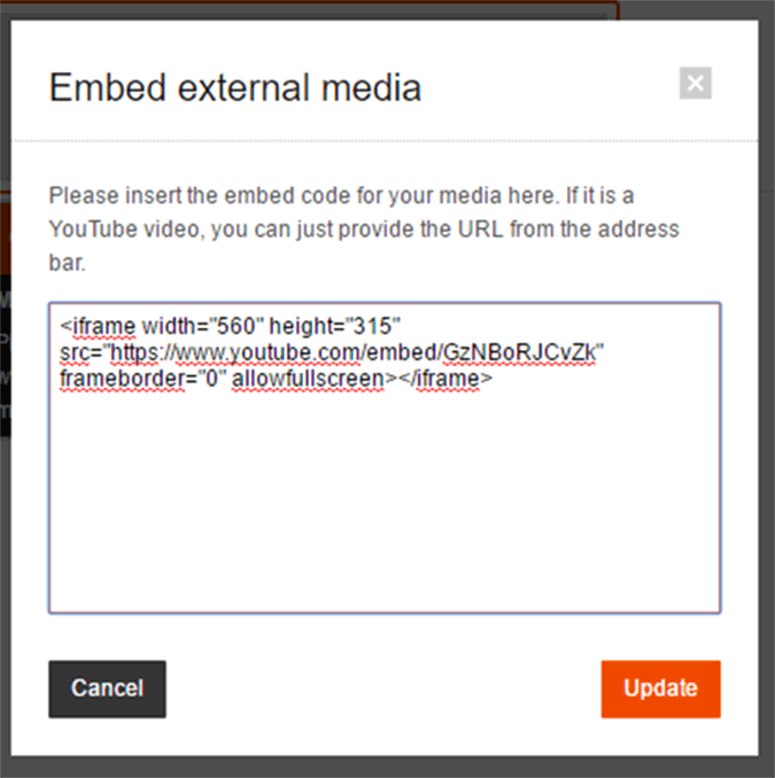 Then select Embed External Media (e.g. YouTube). This will take you Upload or Select Media window. 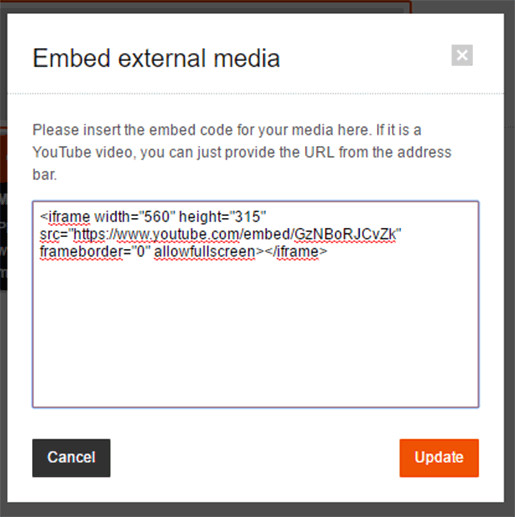 Step 5: The Embed External Media window will pop-up - Paste the code here and press Update. 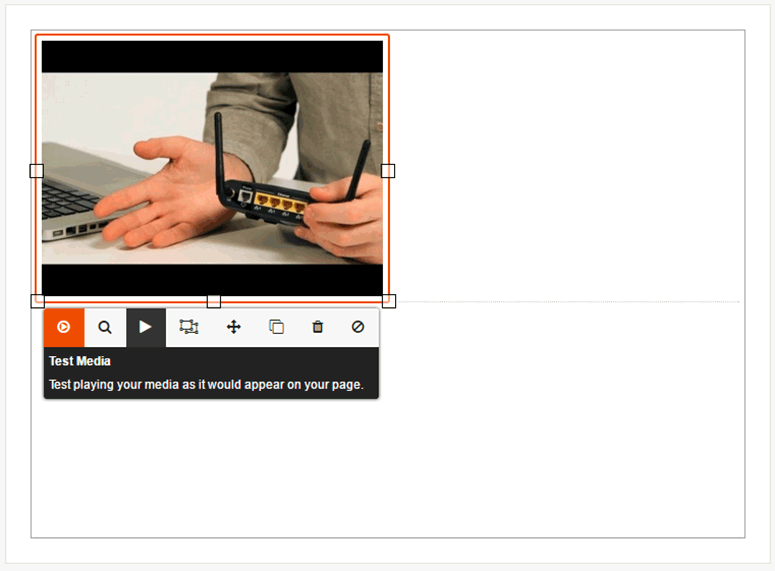 Step 6: The video will now appear in the Media Placeholder. You can test that the YouTube video works pressing the Test Media button.